I came across the following competition on the blog Aiming For A Publishing Deal – many thanks to Charlotte C for highlighting it! The competition is being run by Hampshire County Council and is asking for short stories (up to 1000 words) on the theme of Charlotte Mary Yonge. 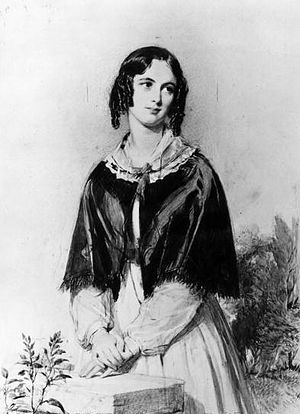 Charlotte was a best-selling Victorian novelist and her memory is kept alive by the Charlotte Mary Yonge Fellowship.Your story could be inspired by Charlotte’s life, one of her novels or maybe, a present day character discovering one of Charlotte’s books. There are 2 prizes of £50 Waterstones’ vouchers, one for under 16 and one for 16 +. Closing date is 12th December 2012 and you don’t have to live in Hampshire to enter. The full details are here. Obviously this is a competition that will require some research but, on the plus side, that could deter many entrants – meaning that the field is smaller than that for many other competitions. And you may discover that you like Yonge’s books! This entry was posted on November 12, 2012, 9:00 am and is filed under Authors, Books, Competitions, Short Story. You can follow any responses to this entry through RSS 2.0. You can leave a response, or trackback from your own site. Thanks for this, Sally. Too busy with NaNoWriMo at the moment for other writing, but this caught my eye and is very tempting … 🙂 I recognised the author’s name, sure I have read some of her work in the past although I can’t think of any titles at the moment. Something else for my 1st December to-do list! Good Luck with Nano, Linda – you’re a brave woman!